Sometimes I think that it’s a good thing that I create all these airliner illustrations. 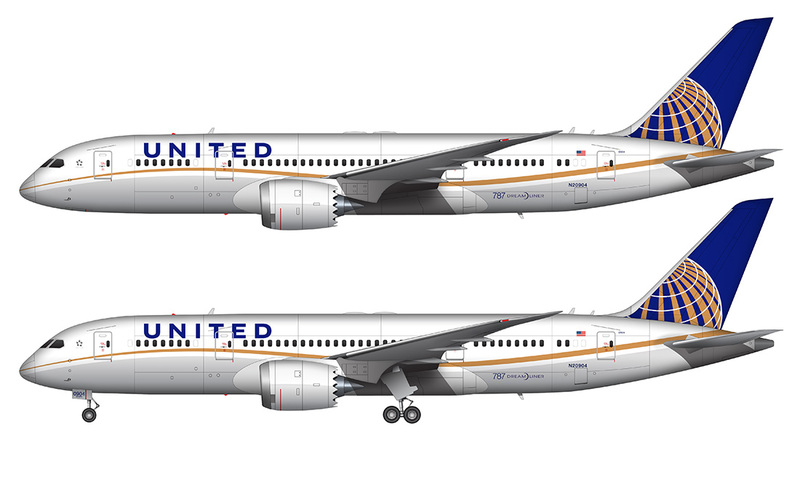 You see, prior to creating this artwork, the United 787 livery was probably my least favorite of the current special 787 color schemes. 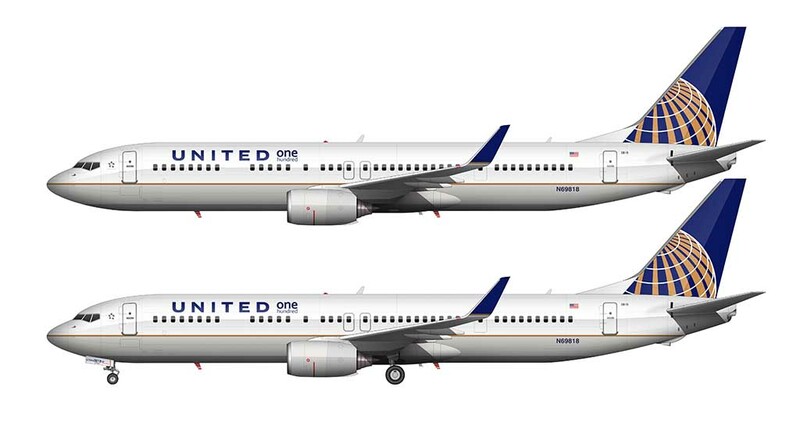 United hasn’t really been winning very many points in the mind of this designer recently. First, they totally take the easy road and inherit the old Continental livery when the merger happened. They could have done something big there. Second, this special 787 livery seemed like such an afterthought and I was thinking that it didn’t go well with the existing livery at all (I still think it doesn’t but more on that in a second). So – two big visual identity “blunders” in the past two years didn’t sit well with this proud UA customer and professional visual designer. I’ve yet to see one of these United 787’s up close in real life, so maybe my feelings about the livery will further improve once I can see it in all it’s glory. I have seen two from a distance while at LAX a couple months ago, and they did look sharp. Let’s hope Boeing can get the current battery issues sorted out soon so we can see these things flying once again!